The South Western Golden Retriever Club was formed in 1973 it was the first regional club of its kind and it covers the counties of Cornwall, Devon, Somerset, Dorset and Avon. Started by a small group of enthusiasts the club has grown to have a strong membership. To breed for type, temperament and soundness as a priority. The members of the committee are always happy to help and advise, to give guidance to any member of the club. 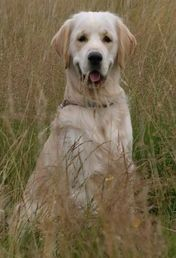 Our main aim is to promote the well-being of the Golden Retriever throughout the South West. Including Working & Field Trials, gun dog training, shows and attending Seminars. These events are organised by the committee to help both new members and established members of the club enjoy owning a Golden Retriever and being very much part of the breed.